For those who read the announcement that a third Captain America movie was imminent, then worried that Marvel might say, “You know what? That’s probably enough movies and money. Let’s pack it in,” then spend its august years concentrating on charity work—don’t. 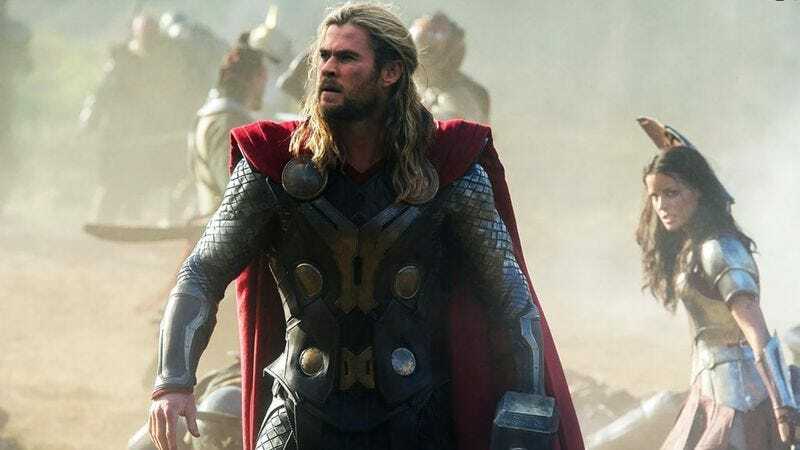 The studio has announced today that plans are already in motion for a third Thor movie as well, making for good news for fans of the Chris Hemsworth arm of the franchise, if not necessarily for the world’s soup kitchens. Thor: The Dark World writer Christopher Yost will collaborate on the script with Craig Kyle, who, in addition to serving as producer on the first two Thor movies, worked on many of Marvel’s animated series, and wrote with Yost on comics like New X-Men, X-23 (a character he co-created), and X-Force. No word on a plotline yet, though one assumes it would involve doing something super.